IT'S THE END OF MARCH?! How did this happen to us? Oh well, we have some great flannels to share this week. Flannel stories make everything better. First, we have the lovely Thrive After Three who made an amazing Superman Flannel board. Her pieces are awesome. There's even a Daily Planet flannel newspaper! Ms. Jenna shares 2 great ideas. The first is a flannel version of Five Little Kites, inspired by Storytime Katie. The second is a Scroll Story about Spring! I personally have never seen this done before and I am in awe. Look at how amazing this thing is! Anne over at Itsybistymom shares a fabulous Duck Memory Matching Game. The game is really great, but the spinner she uses is absolute genius. I'm making one as soon as I finish this round-up. To celebrate Mr. Rogers birthday, SLC Book Boy made an amazing flannel game involving vehicles, finding a job, and Pigeon. I bet Pigeon needs to find a job because of his student loans payments– we sympathize Pigeon. Kathryn over at Fun with Friends at Storytime is going to have a new grandbaby this year! Congratulations! To celebrate, she made an adorable set of flannel babies to use in storytime. Miss Sue over at Library Village shares the classic There Was an Old Lady Who Swallowed a Trout. What a beautiful flannel set! Bridget at What is Bridget Reading? made a gorgeous pair of crocheted elephant finger puppets. Look at how cute their little shirt and dress are. I've now decided in my free time I will learn how to crochet. Christine at Felt Board Ideas shares two very cute flannel rhymes involving rain. If you're a visual learning she even includes a You Tube video! Storytime Katie, who I met IRL and was just as fabulous as she is online, made an adorable Ten Fluffy Chickens rhyme. I love all of the spring rhymes we're getting on this roundup! Linda at Notes from the Story Room shares an original story "Raccoon and the Magic Fish". So many great options with this story! Miss Tara at Storytime with Miss Tara and Friends found some amazing old flannel books. They were a little beat up, but she turned them into an great matching game! Jane & Piper of Piper Loves the Library share a beautiful flannel Maisy! She makes some of the prettiest flannel pieces I have ever seen. Everyone should copy them immediately. This is the placeholder for Flannel Friday this week. Please leave your Flannel Friday submissions in the comments below. Include the url for your post and anything else you want to say. I will have everything up by Saturday! I just arrived in Indianapolis for the 2014 PLA Conference! Indiana is my home state and I interned at the Central library so I feel like I'm truly coming home. There are so many sessions I am excited to attend and I'm looking forward to meeting some old and new friends. If you've made it to Indianapolis, make sure to go visit the Central library. It is about a mile from the conference center, but so worth the trip. The youth area is amazing and the staff is lovely. They have a green room for little ones where your can put yourself on TV! It is one of the coolest things I've ever seen. I'll be live blogging with some other fabulous librarians at the ALSC blog, so make sure to keep an eye over there. It's a great place to get information if you weren't able to make the trip. Plus, you get to see multiple perspectives on different sessions. I'm also facilitating Guerrilla Storytime with the fabulous Amy Koester on Sunday at 9:15! It will be a great session full of interaction and amazing librarians. I hope to see you all there! Early Literacy – Ocean Animals! 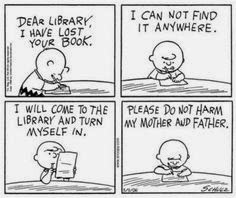 During a trip to the library, where is the one place where almost every child and parent visits? The bathroom! We decided to use the space to promote some fun early literacy. Also, to help distract the little ones while the mom or dad is desperately trying to take care of other siblings. Sorry about the bad lighting! I decided to make an "ocean" theme for our bathroom. Since we live in Wisconsin, most of our child patrons have not seen an ocean. We still want parents to talk about it though! I made it a simple seek and find game. Yes, I realize now that I didn't include the sea turtle on my list. I didn't realize it till I went back to take this picture though. I also included a literacy tip for parents. It can be easy to talk about things surrounding you, but things you don't see every day are just as important! Are you all decorating your bathrooms? I'd love to see your pictures! Flannel Friday – Make A Potato Head! In our Play and Learn area, we have a flannel board that we change each month. This month, I was on Pinterest and saw this amazing pin! The link no longer works, but the idea originated at the Suring, WI library. As soon as I saw it, I knew I needed to borrow the idea immediately. Using some of my master googling skills, I found a printable template for the Potato Head pieces. This blog has some great ideas for "quiet books". They're so creative! I didn't want to be picking up flannel pieces all day, so I kept the number of pieces to a minimum. Our friend has 3 sets of eyes, 4 hats, 2 mouths, arms, shoes, and a fun mustache. I included a parent tip to encourage talking while their child created. I also included some starter questions in case parents were struggling with what to ask their little one. I've heard some great stories so far. This would be a great storytime activity if you were talking about body parts or silly things. I can see kids laughing hysterically when you put Potato Head's eyes and nose in the wrongs spots! The Flannel Friday Round Up this week is over at Catch the Possibilities. Everyone go and read all of the other amazing submissions!